UK architecture firm Chetwoods’ latest design juts from the ground like two giant stalagmites. 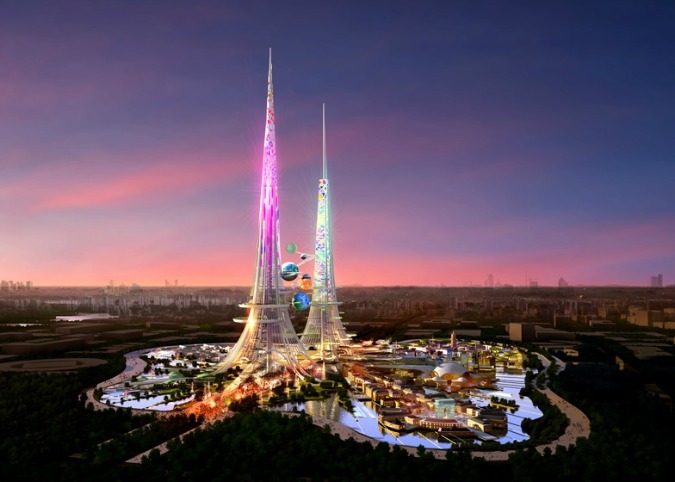 Standing a full kilometer (3,281 ft) tall, the structure might be the key to solving China’s catastrophic pollution problem on every level. 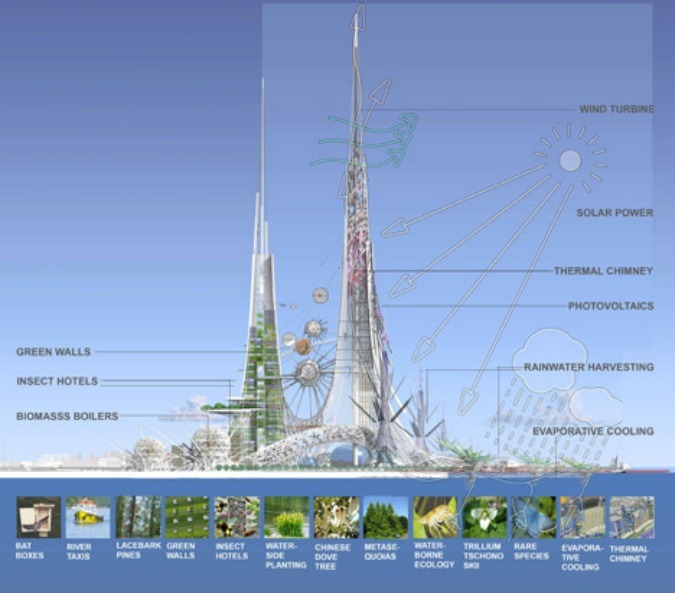 By using a complex mechanical system to simultaneously filter Wuhan’s air and water, collect solar, wind, and hydrogen power, provide produce from a massive vertical garden, harvest rainwater, house restaurants and businesses, boil biomass, and generally aim to solve every major ecological crisis faced by central China’s “Fourth Pole,” the Phoenix Towers just might live up to their name. 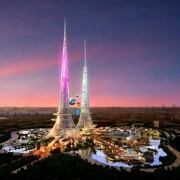 The Phoenix Towers are designed to resonate with local religion and philosophy. The towers link Western technology and architecture to the Chinese myths of the phoenix; two towers represent the dual gender the legendary bird has in Chinese iconography, and the spirit of rebirth is spread throughout all eight hectares of the the half-mile high towers. (source).